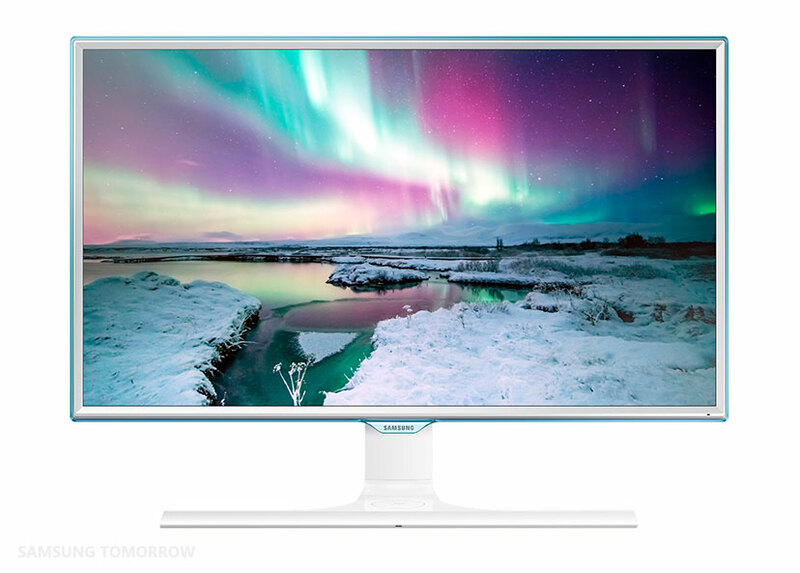 Samsung Electronics announced several monitors aimed at gamers at the CES this year. 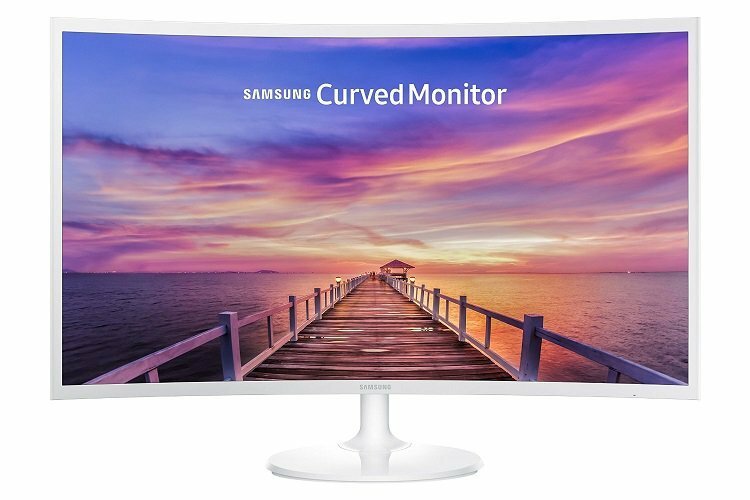 One of which is the Samsung CH711, an ultra-wide, curved, quantum-dot display monitor with the 1440p resolution. The official release date and the price are still unknown, but we do know that once it’s released, it will be available in both 27-inch and 31.5-inch versions. Most of the specifications are unavailable at the moment as well, but we will share with you the information we have so far until the monitor is released. It’s reported that it will be released early in 2017. As previously stated, the Samsung CH711 PC monitor will be available in 27-inch and 31.5-inch variants, both of which will have the 2560×1440 resolution in order to suit the gaming experience with a better performance. We do not know whether it will have any other ports besides the HDMI and what adaptive sync technology it will feature. The HDMI port indicates that it will mostly likely feature the FreeSync technology which can be supported through the HDMI port. Another factor that makes us think that the Samsung CH711 will feature the FreeSync rather than the G-Sync is the fact that the Samsung CF791 uses FreeSync and has a 100Hz rate. Therefore, we assume that the Samsung CH711 1440p display will have similar specifications. The FreeSync and G-Sync adaptive technologies allow the users to synchronize the refresh rate between their monitor and the GPU and thus gain a more steady framerate and eliminate screen tearing, stuttering, and lagging. The FreeSync can be used with AMD graphics cards, while the G-Sync works with the Nvidia graphics cards. The panel type is also unknown at the moment. Since the Samsung CH711 model will mostly likely be similar to the CF791 which has a VA panel, we can assume that it will feature either a VA or an IPS panel due to the viewing angles being 178 degrees. Samsung also promised a high contrast ratio in this gaming monitor which slightly leans the presumption towards the VA panel. Samsung Electronics opted for the quantum-dot technology over the OLED for this gaming monitor. The reason behind this is that OLED panels still suffer from lag issues which is a huge deal-breaker for gamers. In fact, Samsung uses the quantum-dot displays in their TVs as well and has recently started implementing it in their monitors as well. While OLED panels produce the impeccable black level tones, the quantum-dot technology is capable of delivering accurate and vibrant colors as well. In fact, it will cover 125% of the sRGB color space giving gamers a rich and detailed image. However, we do not know yet whether the panel will be 8-bit or 10-bit, a critical information for the professional graphic designers and alike. The 1800R curvature will offer gamers an immersive gaming experience in which they won’t have to move their eyes and head as much as they would with regular monitors. Therefore, all they would have to do is lay back in their chair and immerse into the gaming world. We assume that the Samsung CH711 PC display will also have the common Samsung gaming features such as the Game Mode which increases visibility in the dark scenes. It will most likely also feature the Eye Saver mode which reduces the amount of the harmful blue lights as well as Picture in Picture and Picture by Picture modes, although that is just a presumption. The Samsung CH711 will feature a beautiful, purely white colored appearance with borderless design at the sides and the upper bezel. The most interesting feature concerning the design is that the power and HDMI ports are located at the base instead of the back of the screen. This will allow for a wide range of ergonomic functionalities including the kind of weird ability to rotate the screen even though it is curved. Nevertheless, it’s nice to know that we have the option. So far, the only thing we know regarding the connectivity is the fact that it will have an HDMI port. As previously mentioned, the Samsung CH711 monitor will most likely feature the FreeSync technology which is capable of the adaptive sync through the HDMI port, unlike G-Sync which requires a DisplayPort. 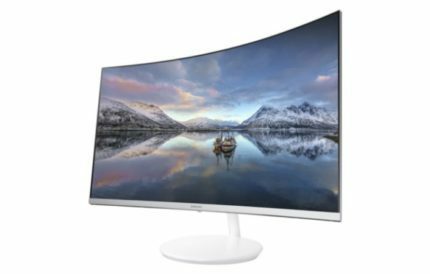 Both 27-inch and the 31.5-inch version of the Samsung CH711 displays will undoubtedly offer an amazing and immersive gaming experience on the borderless design which will make the picture pop out. The quantum-dot technology will give the gamers a flawless picture with intense, vibrant, and vivid details with enhanced colors allowing them to not only enjoy a smooth gameplay but a beautiful one as well. We still have to wait and see the currently unavailable information such as the response time, panel type, price, Hz rate, and the adaptive sync choice in order to properly conclude the review. Until then, we are very enthralled by the information we have so far and we’re anticipating the release of this beauteous gaming monitor. 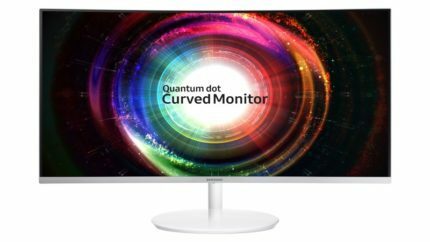 Samsung Electronics has also revealed two additional quantum-dot display gaming monitors at the CES, the UH750 which will feature a rapid 1ms response time and the SH850 with the DisplayPort daisy chaining connectivity. These will be reviewed once we have more information. The Samsung CH711 will offer the amazing gaming experience with its quantum-dot technology that will make video games more intense and detailed. The 1800R ultra-wide screen will make gaming more immersive making you never want to switch back to regular monitors. This monitor is 60hz nothing special about it no hdr no high HZ what the hell is this monitor for ! preorder is available 27″ for 450$ and 32″ for 520$ shipping this month. Unfortunately the refresh is 60Hz… I don’t understand Samsung, they advertise whole QDOT series as gaming monitors and then they release 60Hz one.